This time, we discover Steve Jobs had a role to play in determining the ultimate answer to life, the universe and everything as we peek at a sly bit of product placement in the film version of The Hitchhiker's Guide to the Galaxy. The reference's origin goes back to when Apple first began selling its Apple Macintosh computer. 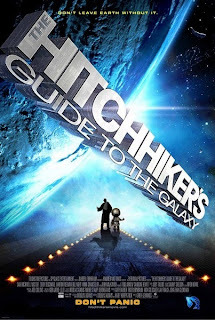 Hitchhiker's Guide author and technophile Douglas Adams was a staunch supporter of the machine and was allegedly bought the first one sold in Europe (interestingly, the second was supposedly bought by author/actor Stephen Fry, who provides the voice of the Guide in the film). 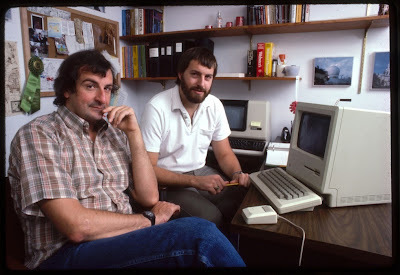 Adams (seen above with Steve Meretsky, who helped him write the Hitchhiker's Guide computer game) would eventually participate in some of Apple's advertising campaigns. 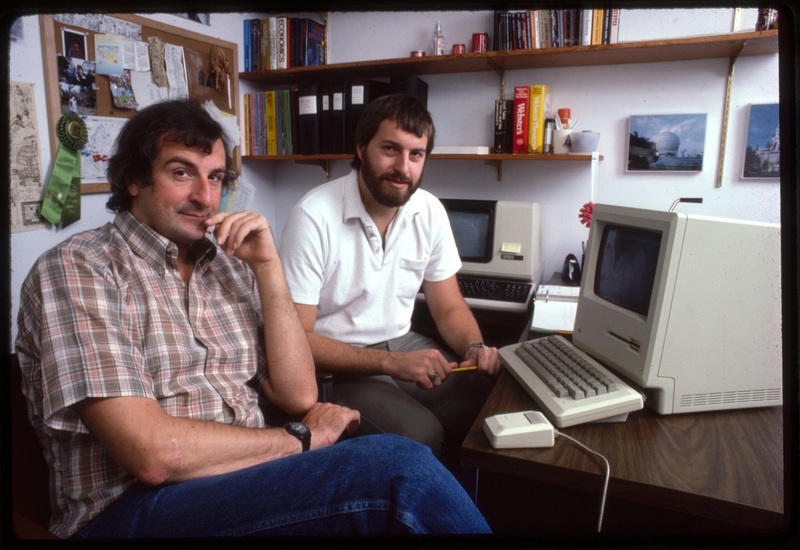 He also praised the Mac OS X operating system and extolled its virtues on his web forum shortly before his passing in 2001.